Believe me when I tell you…..
There’s a few things that I can do fairly well. I can cook a decent steak (except tonight when I burned them), I can get ready in under 30 minutes if the need arises: shower, make-up, hair, the whole kit and caboodle (that’s pretty good for a woman); and I’ve been known to win at thumb wrestling a time or two. And naturally, there’s a few things I can’t do. I can’t snow-ski and can live the rest of my life just fine if I never wear a pair of snow skis again, I can’t sing, yodel, or take a non-blurry picture as my blog can testify, and I can’t grow a pumpkin patch. I just learned about the pumpkin thing yesterday. It started way back in the spring, maybe even last winter. I wanted to have pumpkins this fall. I ventured to Wal-mart and bought a couple packets of seeds. I pulled weeds out of my little patch of a garden. I plowed with an antique plow, and me and my niece Ashlynn planted pumpkins. We even tried to build those little hills it talks about on the back of the seed packet. We planted and we talked about our plans for these pumkins. Oh, the dreams we had of carving, painting, and cooking pumpkins. Maybe we’ll sell them out of the back of my Ford Escape and make a couple bucks. There were certain people who questioned the timing of my sowing. “Isn’t it too late to plant pumpkins?” they inquired. The packet said they need 92 days or maybe it said they need 102 days. I was cutting it close I knew, but I had good faith. A few days passed. They sprouted. Yippee! A few more days, they put on some leaves. Things were looking hopeful. No, I didn’t water them. It’s fall, I figured they didn’t need much water. Nope, I didn’t weed them. Still, they perservered. A few more days and they put on flowers. The pumpkins were coming next. I just knew it. I told my class I had a pumpkin patch. I’d bring some to my classroom. We’d do a whole pumpkin unit. We’d measure the circumfrence, circumfrance, how big around they are, we’d guess the number of seeds inside, we’d carve, we’d paint, we’d roast pumpkin seeds and eat the salted devils. More days were crossed off the calendar. Still no pumpkins. They’ll be here by Christmas, I convinced myself. Who says I can’t decorate the Christmas table with pumpkins? A few more days passed, and a cold spell descended on the golden spread. It drizzled for days. We brought in the potted plants. We brought out the heavy coats. We lit the fireplace. I never thought about the pumpkins. It’s fall for Pete’s sake. (Do you ever wonder who Pete is?) They are pumpkins. This is their time to shine. This is October for crying out loud! I checked on them yesterday. They are withered, lifeless vines with curled up leaves. I guess pumpkins like the cold and drizzle about the same as a daffodil would. 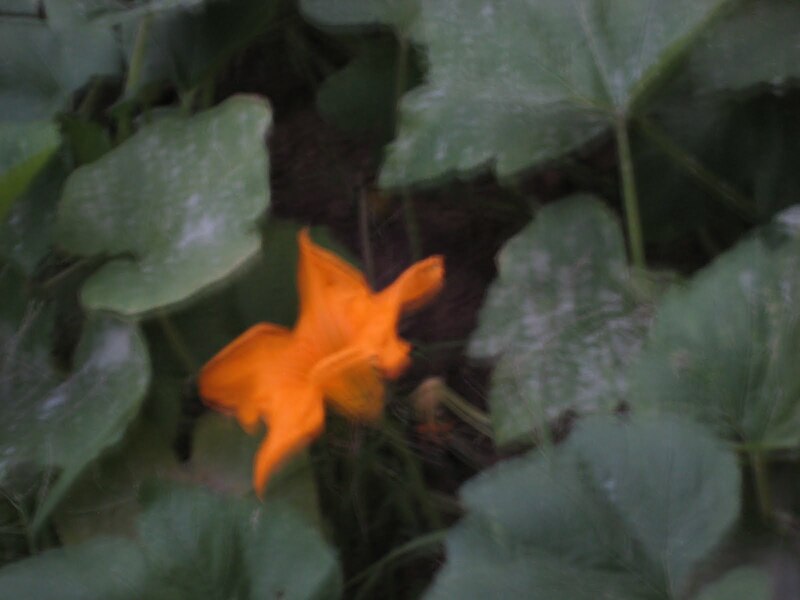 I guess pumpkins need water about the same as a lily does. I guess I’ll have to go to Wal-mart if I want to carve, paint, or measure a pumpkin this year. On the other hand, I guess I don’t want a pumpkin that badly. 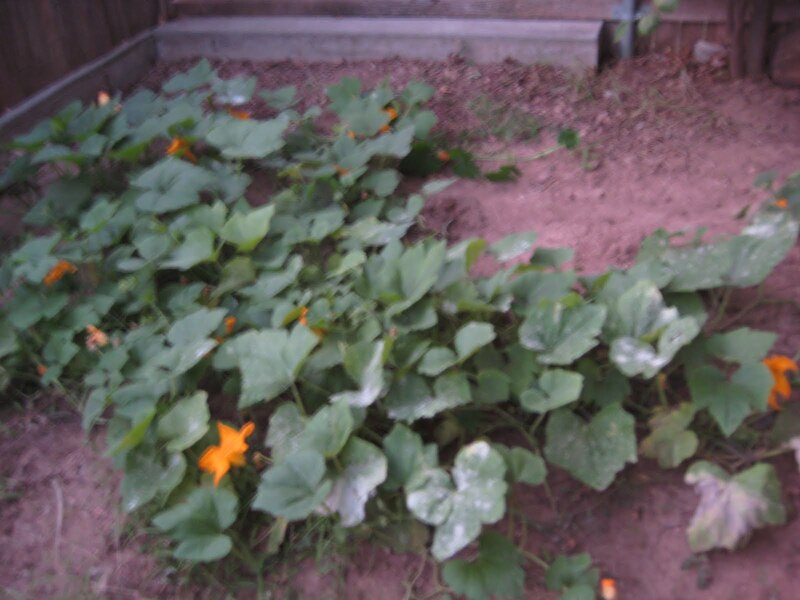 My pumpkin patch when it needed watering. And some sort of white rot on the leaves. My pumpkin patch on a good day, maybe. It doesn’t look terrible here does it? Just a bit wilted. Wouldn’t you think I’d at least have one pumpkin to show for all my hard work??? 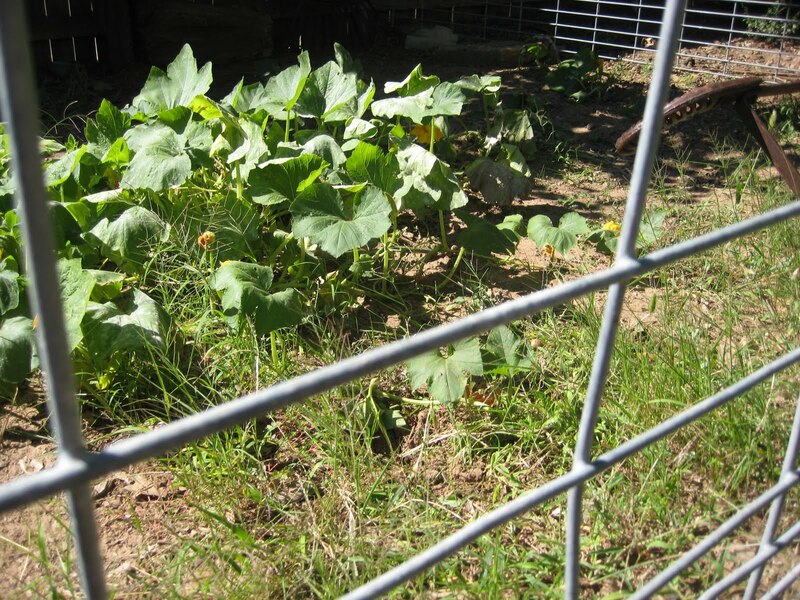 My pumpkin patch when it needed weeding. I won’t even go in there. 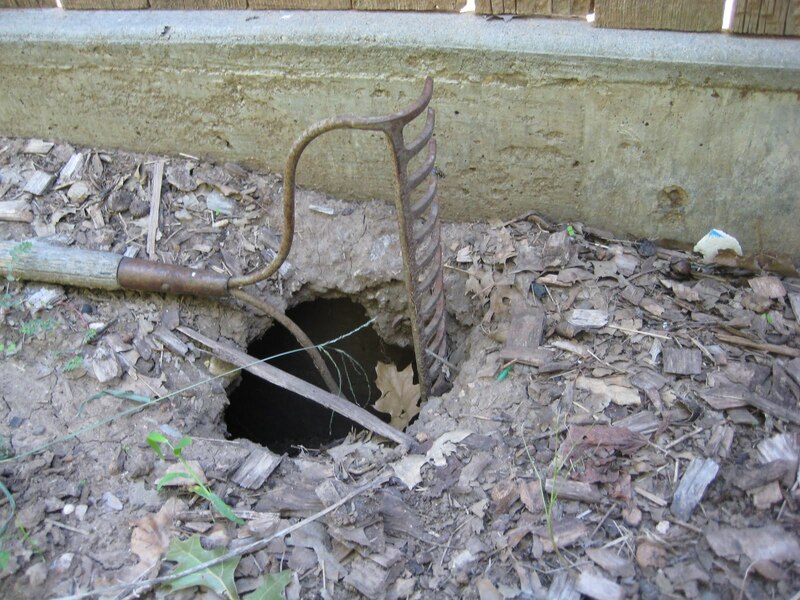 There is a giant hole that some critter made in there. God only knows! That’s why I take pictures through the fence. Hey, yeah that’s my excuse for not watering or weeding. The hole some critter made that had me and Ashlynn running to the house. It’s about 2 feet deep. We couldn’t help but envisioning something with huge fangs and sharp claws attacking us as we crouched down to take a better look. 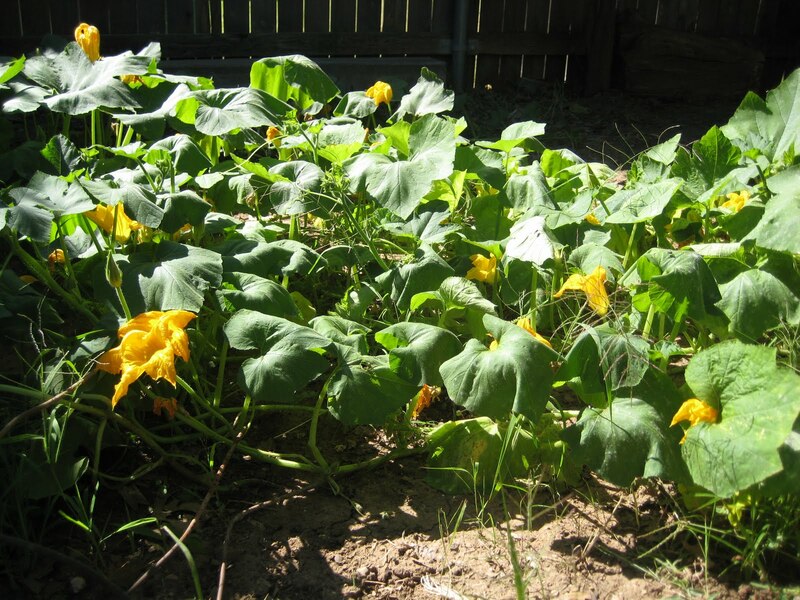 May your life be more fruitful than my pumpkin patch! i can just picture you and ash, waiting for whatever lives there under your house.lol. pumpkins are too cheap to worry much with them. counting the seeds? sounds to me like a great waste of time. but, you're the teacher.